ABC Television. 1992. Producer: Bill Hughes. 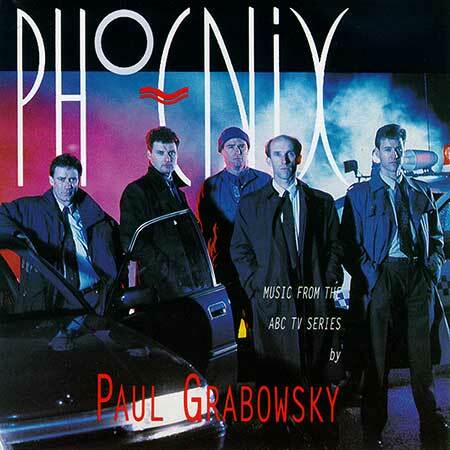 Music: Paul Grabowsky. CD (ST)	5144452. 1993. (Re-issued 1995 as CD 4797292). All compositions by Paul Grabowsky. Published by Warner/Chappell. Paul Grabowsky: Piano, Synthesisers, Harpsichord. Ren Walters: Guitars. Stephen Grant: Cornet, Trumpet. Ian Chaplin: Alto, Soprano Saxophones. Simon Kent: Trombone. Chris Bekker: Electric Basses. Niko Schausle: Drums, Percussion. Chris Doheny: Voice on “Reflex Action”. Ray Pereira: Percussion on “Top Quality Crims” and “Fluffy Dice”. Shelley Scown, Rebecca Barnard, James Uluave: Vocals on “Welcome To The World Of Major Crime”. Niko Schausle plays Brady Drums and uses exclusively Gibraltar Hardware. Produced by Paul Grabowsky and Yuri Worontschak. Recorded and mixed by Robin Gray at Allan Eaton Studio, St Kilda, Victoria, November 1992. Additional recording and digital editing by Yuri Worontschak at Cinesound, Albert Park, Victoria. Mastered by Leon Zervos at Studio 301, Sydney. This album is dedicated to Mike Grabowsky. First Through The Door. (3:30). Welcome To The World Of Major Crime. (4:44). CD(t) (ST)	(See COMPILATIONS - ABC TV THEMES: CD1-Tk07).